About an hour after driving the x19 after the engine swap, I knew I wanted more power. Bolt-on power with a supercharger (I thought) was going to be easiest. However, I don’t think that has been the case. Definitely a DYI project, but having never boosted an engine before, I really didn’t take into account all the pieces, complexities, and delicate parts that go into this project. And of course, the $$$…! For starters, I needed to pick the right supercharger. There are a handful of SCs out there. They all are “bolt on” but some simpler than others. 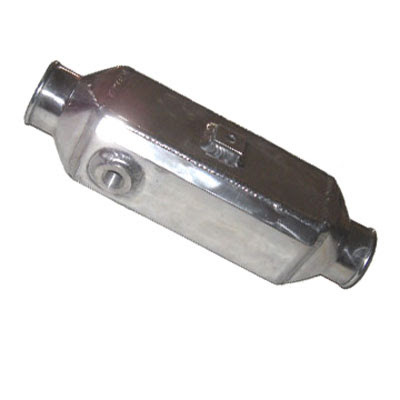 CT Engineering for example sells the type that bolts onto a custom/modified intake manifold. The Rotrex supercharger is a turbine style that works very similar to a turbo except that it is belt driven. The biggest difference is how you cool the air these units charge. 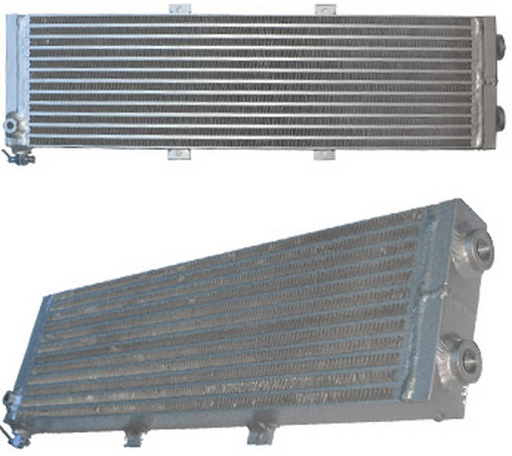 There is also confusion as to what an intercooler is and what an aftercooler is as the terms typically are interchangeable as they pertain to cars. However, if we were to use the terms correctly, what we call an intercooler (on a turbo or rotrex style for example) is really an “aftercooler” since it is cooling the charged air AFTER it leaves the turbine. An intercooler by definition is cooling the air before it enters the the turbine/super charger unit. The CT unit is actually charging the air after it enters the throttle body. There are clear advantages to this. One is the air does not need to be cooled by any large amount as it enters the engine. The air DOES get warmer, but not at levels that can cause seriously issue (like detonation due to advance and heat). It also removes the need for an intercooler/aftercooler box and various pipes. You can add some sort of air cooler to your air before it is fed into the throttle body, but I have not seen this done (in person). Typically, a CT unit can add 40-70 HP and a LOT of torque. This is great IF you want the low-end torque and immediate power offered with a “turbo-like” feel. But if you want something that adds power and torque in a more linear way that feels more like a naturally aspirated engine, it isn’t the right choice. I consider this a negative for my application. Another drawback is the limit of power you can add with the CT version. By limit I mean if the CT supercharger is rated 40-70hp, that is it. No more. You figure for $3.5-$4k, a measly 70hp is like, meh…You could get that with an all motor upgrade for the same amount of $ (IMO) and build a better than stock engine that will last much longer (than stock). The reasons for the cap on power are the limits a pulley change will yield (increasing/decreasing pulley spin). Also since cooling the charged air is difficult, you wont be get the benefit of denser air (the way a turbo does with an intercooler). So which do I choose? Well, I opted for the latter and picked the Rotrex. Did this for a few reasons (initially): When I prepared the x19 engine bay on my particular k20 swap, I didn’t plan on a CT system and I know first hand (found a local RSX owner running a CT version), it would not fit without more engine bay mods. I also wanted something that I could tune upward on the hunt for more power. Also the SC itself was going to be cheaper as the unit goes, however I needed to do a fair amount of custom work to get the SC installed the way I wanted it. The good news is there is an outfit in the UK who sells pre-made Rotrex SC kits for Lotus Elise/Exige. Since the general geometry of the k20 swap fits like it does in an x19, it seemed parts (or everything) in the kit would work for me. TTS provides the entire kit, although in my case I only needed the install bracket as I had already purchased the Rotrex locally. They were nice enough to sell me just the one unit. Rotrex c30-94 with water2air intercooler. I chose a somewhat small intercooler but decided on a relatively large radiator to cool it that sits in front my stock rad. Actually nearly same size as the x19 stock size radiator. This installation of the Rotrex unit was pretty straight forward once I had the bracket from TTS. A belt was also supplied. I originally had planned to use a 115mm pulley from Kraftwerks, but the belt supplied by TTS would not route around the pulley and inside the bracket. TTS also told me the 115 was simply too big anyway and that I would never reach maximum boost within any reasonable driving unless I was taking the car to 8600 constantly. I ordered a 110 from Kraftwerks; I had to do this since they supplied the Rotrex unit, it will only accept their bolt pattern for pulleys. Hmm…Whatever. Kraftwerks are a solid outfit. Rotrex c30-94 with TTS bracket and belt. You can read the details on this unit here but the basic dimensions allow it to sit under my 1975 style rear engine lid. The important dimensions are 13.5″ long and 4″ high/depth. In/out for air is 2 1/2″. I was able to fit it just at the left side (looking from behind) edge of the engine. It then feeds the throttle body using a set of flexible and hard aluminum 2 1/2″ tube adapted to 2 3/4″ to fit the throttle body. Almost a 180″ turn. This is fuzzy pic, but you get the idea. With the basic geometry for air-in and air-out, time to tacked cooling the intercooler. 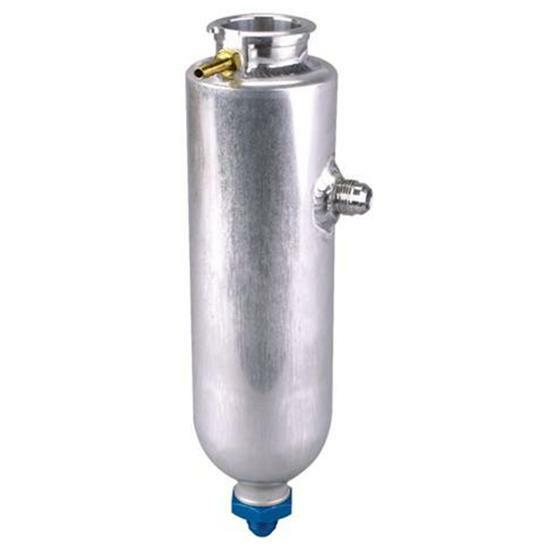 I need a rad/heat exchanger, water pump, top-off or overflow unit, hose and adaptors. The rad I finally went with was fairly large. I figured since my intercooler was so small, a good rad to cool it was best way to go. The unit it ended up with is 27″ x 7″ x 2″ thick and I mounted it right in front of the engine radiator. In its stock position, the engine rad was too far forward for the intercooler’s rad to fit so I repositioned back and up. I also decided at this point to vent the frunk lid as well to allow air to more efficiently exit after cooling the now 2 rads. More on that mini project here. 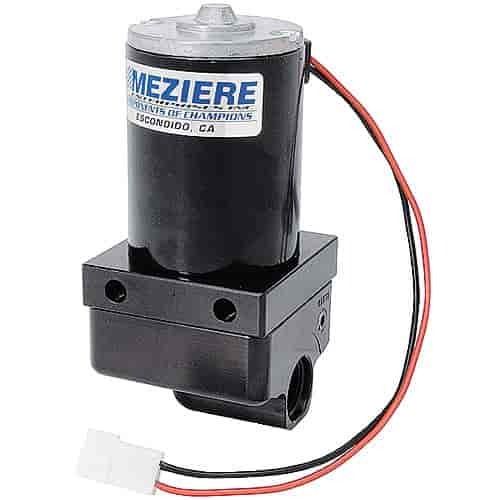 After a lot of fiddling and trial/error, I went with a solid and well reviewed electric water pump from Meziere that can move 20 GPM (Gallons per minute). There is a lad on k20a.org who used the same one in his Lotus swap and supercharger setup. Pretty solid unit and often used for race application where the stock engine water pump is eliminated. 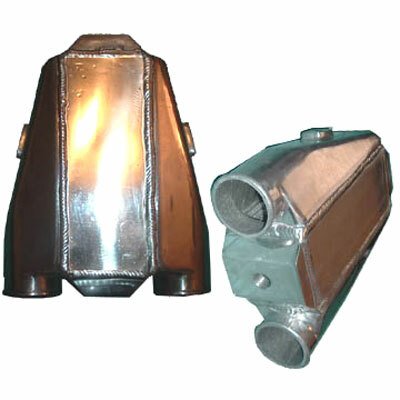 The Rotrex came with an oiling system that consists of a sump, filter, oil cooler, hoses and fittings. First thing I thought was the oil cooler was just too SMALL and flimsy but I tried to use it. I also decided to run the oil cooler at passenger side air vent. After a lot of fiddling and eventually the unit leaking (I said it was flimsy) I opted for a shorter wider unit with more depth and better fitting options. SO glad I did as I was able to now fit it inside the side vent and cover it with the Faza side scoop/flare. I installed the sump just inside the air vent on the engine side, next to the engine pulleys, with hoses routed around it. I mounted the intercooler close to the driver side firewall edge and ran a straight pipe from the BOV section to it. A short line right to the throttle body. This did a few things to help; moving the intercooler to the side lowered the likelihood of heat soak, more efficiently cooled the air as the intercooler forces more air to run through the cooled fins (of the intercooler) and shortened the distance between the cooled air to the throttle body. Doing the latter, I believe keeps the air from warming up too much before it enters the throttle body and manifold. I also found by adding the overflow tank, the system was MUCH easier to now bleed and I could now add additional fluid to help with cooling (and not just water) since I have a place to add it. After some more test driving, I found this to be a great setup. IAT was much lower and even on the hottest days thus far (about 90 just last week for 2 days) the heat-soak was very low to almost none. The ambient temp difference tends to be about 10 degrees F (if it’s 72 outside, IAT are 82-85). The other change I went with was a smaller pulley. I don’t rev this engine to its red-line often and I wanted to try and get the torque up earlier in the RPM. I opted to go with a 105mm pulley, down from a 110mm. The thing is that the custom supercharger bracket from TTS Performance although designed for 110mm pulley, still was a tight fit with Kraftwerks pulley. Changing to 105 added room between the pulley edge and the bracket edge that I was more comfortable with. However now with a smaller pulley, I reduced the belt tension to a level that is less than recommend and could cause belt slip at high RPM. After some research I reached out to a friend also doing a similar swap and is in the auto repair business. He found me a couple of optional belts. Problem was the best fit lengthwise was an 8 rib belt where the crank, water-pump and SC pulleys are 7. Solution: cut one rib off. Never did this before, but in the end it worked out well. I started by using a razor blade then switched to some very sharp and small scissors. The belt is also a tad thicker than stock so I thought this was an advantage since I now *may* have compromised the belt some. The rougher edge (cut edge) I opted to run on the inside of the pulleys to ensure the edge that could run off the pulleys was still a clean edge. Seems to have worked great! With everything appearing to work I decided it was time to have the car re-tuned at the dyno shop. I take the car to DNR Performance AKA Edwin Performance in Hayward, CA. They know my car and setup and I trust these guys to do the tuning right. After some pulls and a LOT of tuning by Edwin, We found new good news! This car will make some power! @6400 RPM, we were seeing 275 WHP and 220 ft torque. Bad news – the fuel pump (which was the same one I used with the initial swap) just couldn’t keep up and we could not safely push it past 6.5-7k or it would lean out badly. That said, I was pretty stoked with the results and progress being made. I am replacing the FP and returning for a tune as soon as I can to see about getting this thing to 300 (or more). After fitting a higher flow fuel pump (inline walbro 400) I was ready to return to the tuner. Short story; we made more power – 299 whp to be exact. Oddly my engine was really liking more cam timing but at the expense of some torque. Unfortunately for my tuner, we had over tuned the original setup richer as a result of a weaker pump. Now with the high flow unit, tuning basically had to revert back to almost the beginning. There certainly is more to be had with this setup, but I think taking the car from 197 to 299 is pretty good. The car would benefit from a larger air intake filter, maybe even a dual cone style? Also a higher flow exhaust would add some power as well.